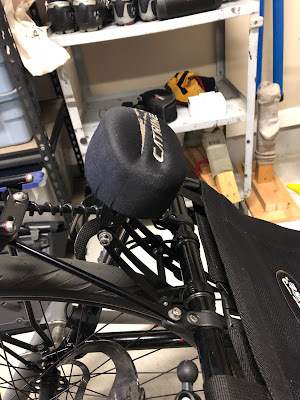 I posted about my new Finer Recliner headrest back on Sept 24th. After putting a few miles on the Finer Recliner I'm now posting that I'm back to using the Catrike headrest modified with the addition of an extra 3/4'' dense foam pad. The medium density memory foam of the Finer Recliner is very comfortable. Maybe too much so for the way I like to ride. Most of the time while riding my Expedition I don't use the headrest but when I do use it I want firm support without my head sinking to deeply into the headrest. In that regard the Finer Recliner had to much give and my head would be further back then I like. 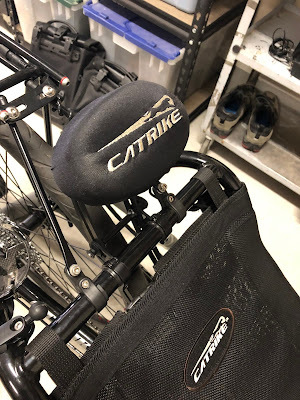 In the end I went back to the factory Catrike headrest. 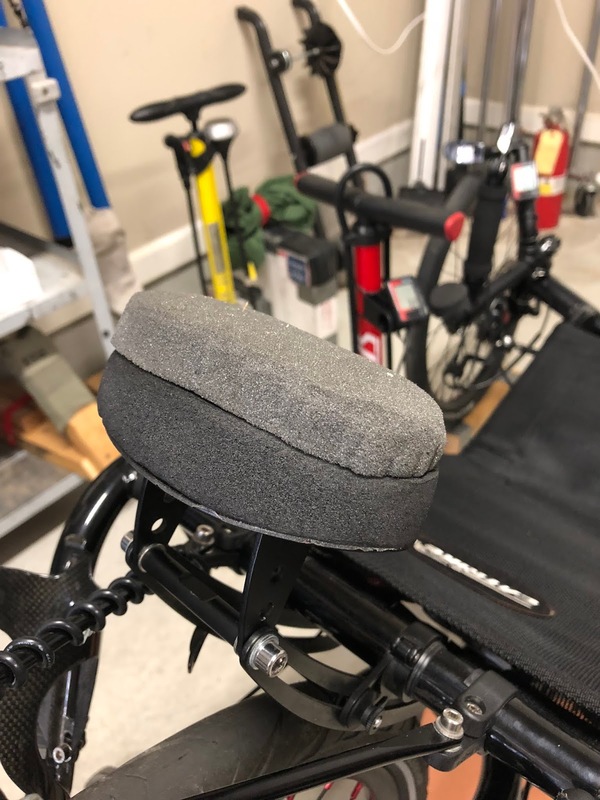 With the addition of the extra foam the factory headrest works fine.